Charlie Aldridge received his veterinary degree and completed his small animal rotating internship from Louisiana State University. 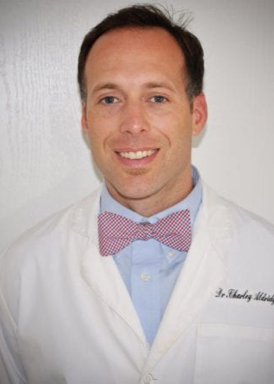 He then completed a dual residency and Master’s Degree program at Auburn University in Internal Medicine. He has a special interest in endocrine, kidney, and respiratory diseases. His wife Mollie, a veterinary dermatologist, joined the team at Southeast Veterinary Dermatology and Ear Clinic.